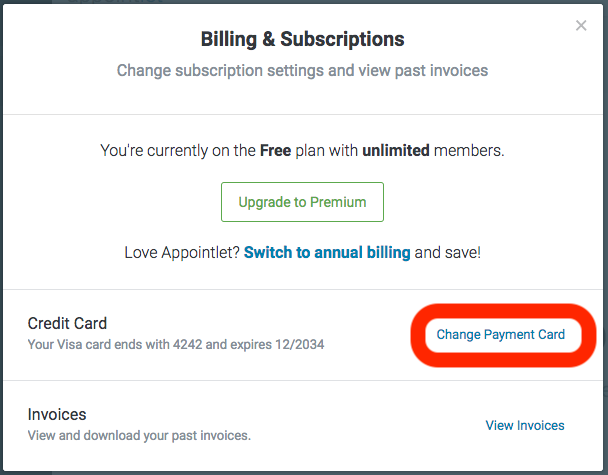 Before you can add or update your billing information, please login. Open the billing settings dialog, which is in the account menu in the top right. Enter your payment information and you're done!